The 24-hour event is a different kind of beast. 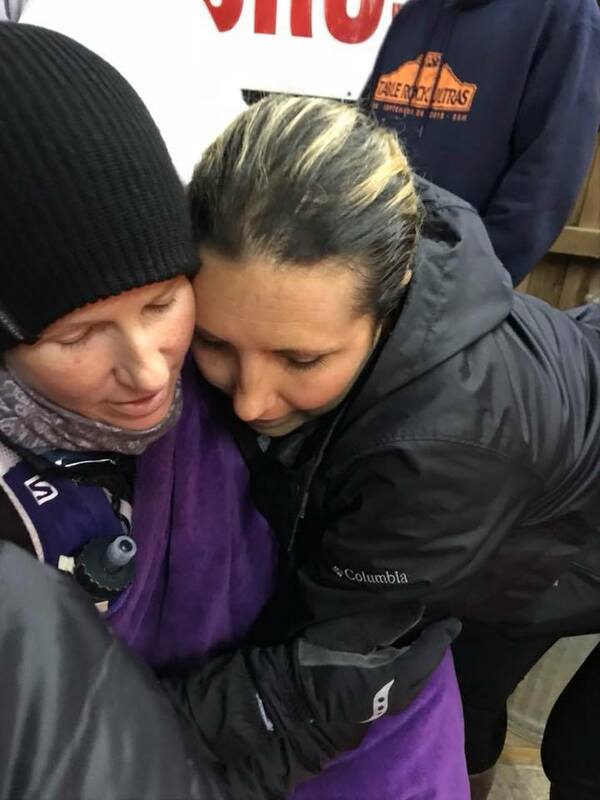 A race without a defined finish line, one that will take you on a roller-coaster of emotions, one that allows you to recover and one that if you can overcome the demons of defeat will lift you up in the arms of victory. No matter how many 24-hour races I’ve run, standing on the starting line is still daunting. The early miles are often the hardest mentally, in the first hours the brain has a tough time dealing with the fact you still have 23, 22 or 21 hours to go. A smile can be a real motivator. Fix a problem early to prevent a disaster later. Start slow and slow down. No one has ever died from a blister. I’ve never felt so alone as the farthest and darkest part of the trail, while running by myself late at night. The will to succeed is infinity more powerful than defeat, if you believe in you. The final mile is worth everything. I ran my first Virginia 24 Hour Run for Cancer in 2009. I ran 52.5 miles that day. 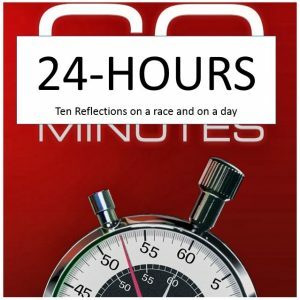 In the spirit of full disclosure, I’ve run ten 24-hour races…of the races I intended to run the full 24-hours (three) I’ve only completed one. 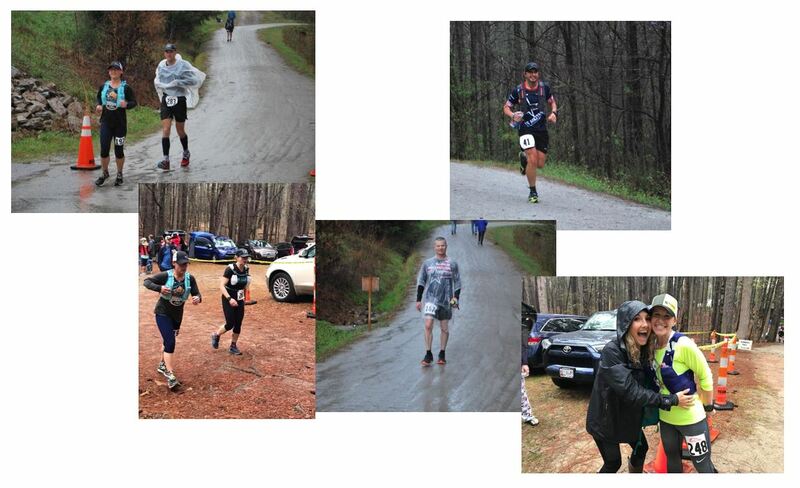 During the Hinson Lake 24-Hour Race I ran the full 24-hours…I covered 96.7 miles on a hot and blistering day. 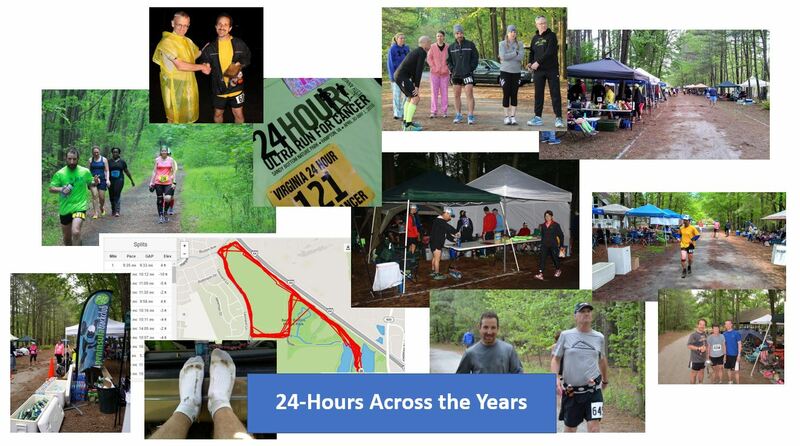 I have a grand total of 702.5 miles in 24-hour races. When I look back it’s not about the miles. It’s not about the hours…it is about the adventure, the friends, the experiences, the smiles, the victory, the defeat, the lonely times and the times with company. 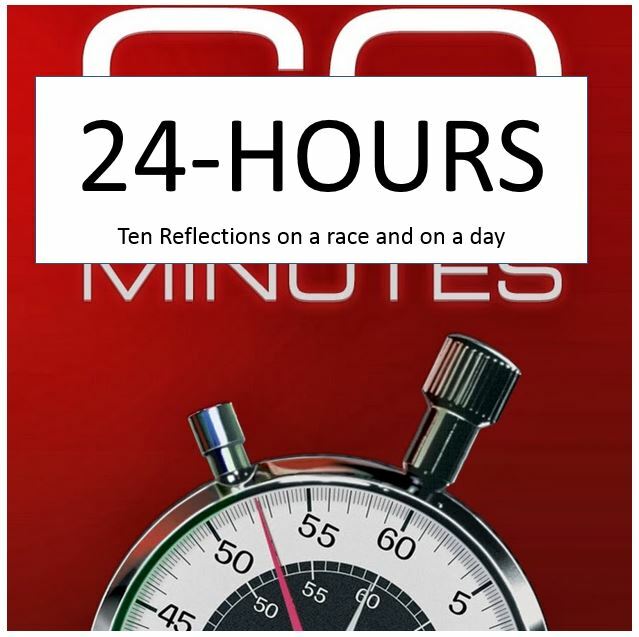 A 24-hour race is your life in a day. This entry was posted in Uncategorized on April 25, 2018 by burk.brian@yahoo.com. Some races leave an impression on your soul. Some people accomplish things that you’ll remember the rest of your life. 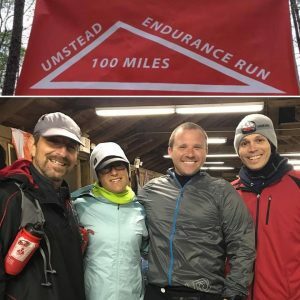 The 2018 running of the Umstead 100 provided the perfect backdrop for epic memories. A few of my best running friends were running the 2018 Umstead 100 and I volunteered to run the last 50-miles with one of them. The final half of a 100 mile race can be some of the most challenging miles a runner will ever face. A week out from race day the weather forecast looked great, mild temps and sunshine. As the big day approached that all changed. A cold front would be moving across the east coast from the north and would deliver rain with dropping temperatures beginning nearly as the race would start. Standing in the lodge before the race, we all joked about how hard this day could be. I stood among my group of friends, some veterans to the 100-mile distance, some rookies and a hand full of crew and pacers. We all made light of the forecast, trying to discount the challenge that laid out in front of them. As the race director announced the start of the race would be in a few minutes we moved to the door and out to the starting line. Seemingly as we exited the building the clouds opened and the rain began to fall. Next we heard the call, 3…2..1 Go! A pack of nearly 250 runners were off, us non-runners retreated quickly back into the dry race headquarters and got breakfast. The pacers and crew planned to meet our runners at the end of every 12.5-mile loop, to help them refuel, rehydrate and to lift our runners’ spirits. We would do that eight times. After the first lap, as our runners began to return to the start/finish line you could not but notice hidden among the early mile smiles and hopefulness some early signs of despair. Yes, everyone was doing well, everyone was putting up a fight…everyone was overcoming the deteriorating conditions, but the conditions were taking their toll. As I looked into their eyes with each successive lap, like dog years the 12.5-mile loop was taking more of a toll. It simply was the worst weather conditions this race had ever been held under. When my runner made her fourth loop it would be my turn to join the party. A 100-mile race is a battle against your will. I tried to capture this drama in my book Running to Leadville. A captivating account about a lost soul, a small Colorado mining town and a 100-mile trail race that changes lives. A tale that will take you to the top of Hope Pass and beyond. I got to see determination stare me in the face. I foresaw a relentless drive to reach a goal. I saw someone overcome their body as it resisted the desire to run. I was witness to someone not letting an injury defeat them. I witnessed the near defeated bounce back from the edge. I felt the hurt of failure. I had the opportunity to run with some of the toughest people on the planet. I observed the human spirit survive. I stood next to victory and triumph. I got to see the human spirit WIN. This entry was posted in Uncategorized on April 12, 2018 by burk.brian@yahoo.com.